We are now offering land and turn-key homes in Deerfield Estates! 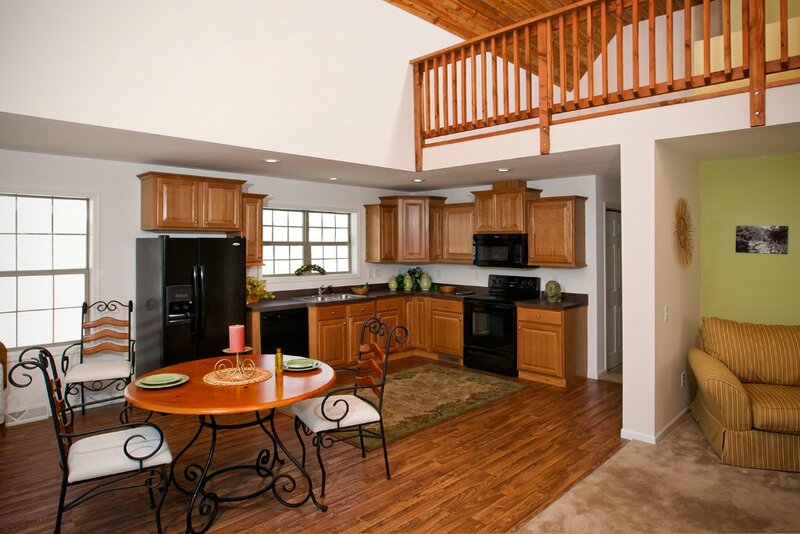 The Deerfield Estates are located in East Freedom, PA – conveniently close to the I-99 Interstate and the local Walmart. Stop by our Duncansville location to see this unique floorplan with a modern sleek kitchen design, complete with a spacious walk-in hidden pantry. Interested in Formal Dining at Home? Stop by our Lewistown location to see the Americana! A proven floorplan that is now fully customizable and features a freestanding tub, walk-in shower, barn doors, and all the storage that a homeowner could want. Blacks Home Sales offers more than 70 years’ experience selling manufactured and now modular homes in PA. We are here to help you find your dream home and fit your budget. Browse the many available floor plans for view the “on display” homes at any of our locations. Our modular home and mobile home listings include prices for display homes to make shopping easy. Whether you look at the economic or the environmental advantages, going with a modular or manufactured home has many benefits over the traditional stick-built home. Double Your Fun: What’s In a Double Wide Home? The phrase “Double Wide” literally means that two halves of a home will be put together into one wider structure. These halves typically consist of two fourteen foot sections to create a twenty-eight foot wide home – although two sixteen foot sections are occasionally combined into a thirty-two foot wide. Often called sectional homes, double wides (like single wides) are built to the HUD Code, have a permanent metal frame and do not require a foundation (crawlspace or basement) when being installed. Prices, options, and floorplans subject to change without notice. Images displayed may not be of actual display homes. Which Black's Location is Closest to You? When will you be purchasing? Where will you place your new home? In what county are you building? What is your price range for your home?